After a long hiatus, I've resolved to start reading these again. Whenever I feel like I need a boost I'll go ahead and buy another volume. I mean, I'm never going to retire anyway so what's the point of having a savings account? 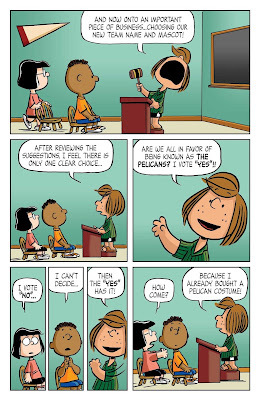 Edit: Also, sorry folks you have to click through to the blog to see the whole comic strip. 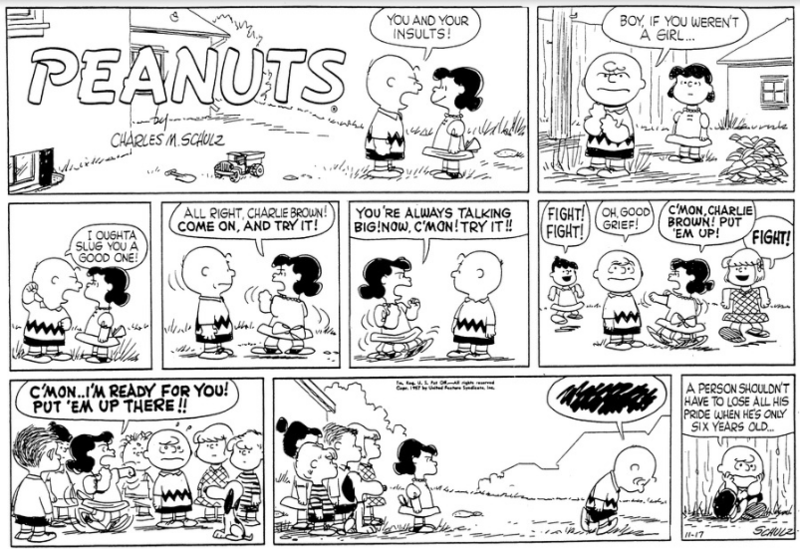 These were good years for the strip, with Schulz continuing to refine his technique, there are long sequences here - notably Linus' pledge to go without his blanket for two weeks and Charlie Brown's epic baseball gaff - and thee are jokes with almost identical panels repeated many times. 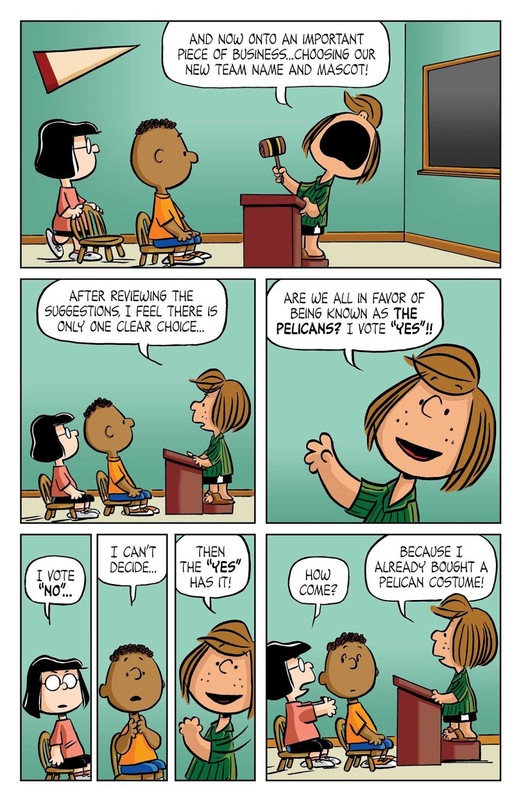 This repetition wasn't detrimental, it seemed more like Schulz working out a joke in his mind until it reached maximum absurdity. Violet's hi-fi parasol inevitably becomes Lucy's hi-fi jump rope. Snoopy's impressions took off in the last volume, but he adds many more to his repertoire in these years and in general is just delightful. Maybe it gets better for him next year, but I doubt it! PS When did Marcie fall in love with Charlie Brown?! 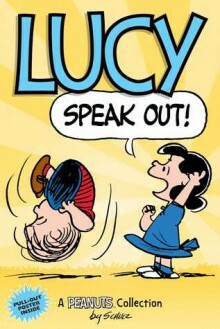 I knew about Peppermint Patty but Marcie threw me for a complete loop! PPS Do kids know about the Legionnaires? Do you? Well, I suggest you do a little homework because there's a whole set of jokes about them in this volume and you'll surely be lost if you don't.